A Park Bench That Tells You You’re Fat? Clearly we in the United States are not taking the obesity epidemic as seriously as the Russian government. We debate whether it is appropriate for the government to require restaurants to inform their customers about how many calories they are consuming. 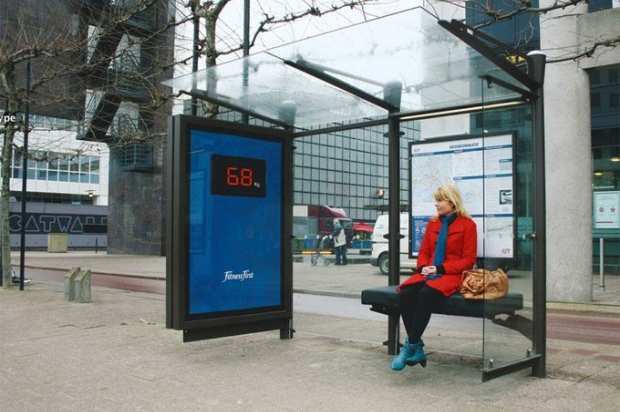 Whereas in Moscow, sit at a park bench, and it will tell you how much you weigh! There’s all kinds of problems with this “nudge,” of course, starting with the fact that this woman has an overstuffed purse joining her atop the bench. But you have to give the Russians credit for trying to change the culture of obesity.